Welcome to Enviro Pallets. 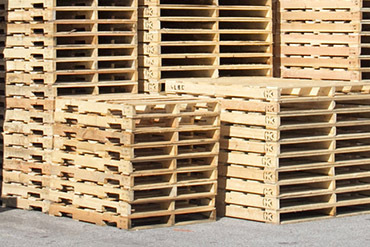 We specialize in manufacturing quality wooden pallets of all kinds including new pallets, used pallets, heat treated KD bug-free pallets, crates, and nursery frames. We supply quality products to our customers in a timely and cost effective manner. We have the ability to handle all your pallet and crate manufacturing, transportation, and handling requirements. 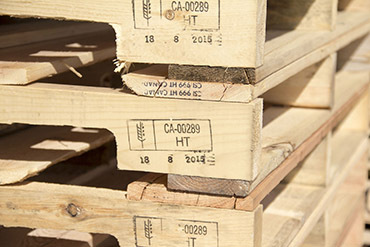 We manufacture and supply quality pallets through-out Canada, North America, Europe, Australia, and China. Our re-manufacturing facility is capable of producing notched stringers, grooved dunnage, chamfered boards, and precision trimmed lumber. We take pride in honouring our commitments in a timely manner, maintaining high quality pallets at competitive market prices and providing excellent customer service. We manufacture new pallets customized to your specifications. From size, shape, and load capacity, we can accomodate your product and specialized delivery needs. 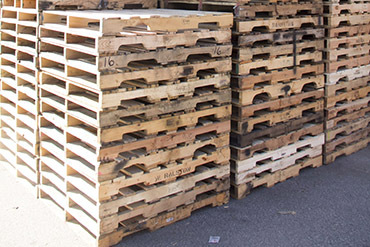 We can provide remanufactured and recycled pallets in a variety of common and custom sizes to meet every need. We also recycle old damaged pallets. We sell heat treated bug-free pallets. Heat treating is widely recognized as an effective means to destroy any pests that could be harmful to forests.